Vivid ruby red with garnet shades, the bouquet offers fresh exuberant captivating aromas of small mixed berries and cherry. On the palate it is very harmonious, well-balanced, with no rough edges, rich in flavour and refined on the palate. Elegant and relaxed, it closes with a very clean and persistent finish. 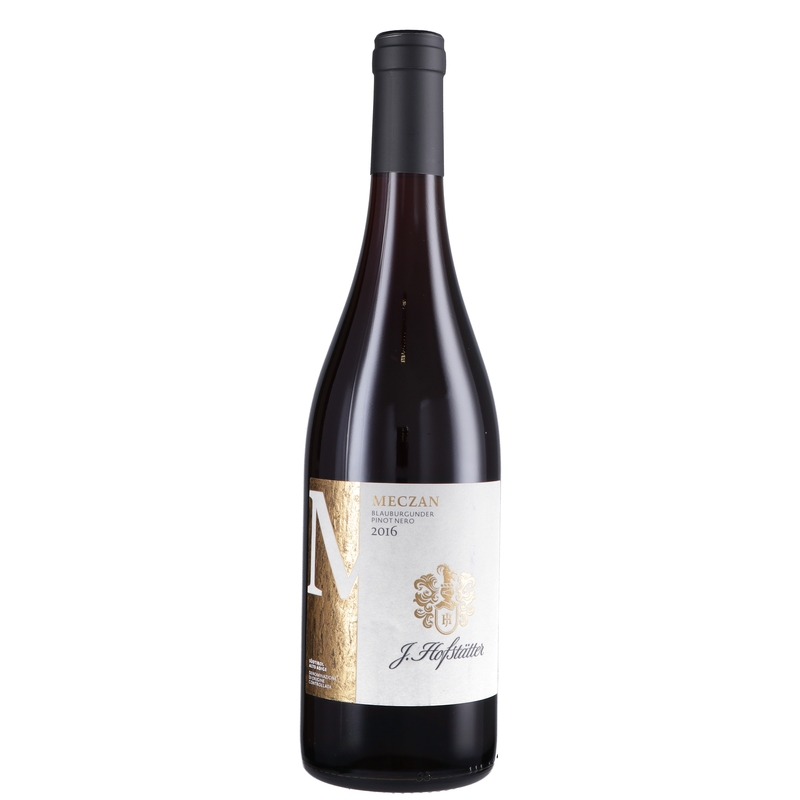 Throughout the meal the Pinot Nero “Meczan” di Hofstätter pairs well with dishes based on noble poultry, roasts and first courses with meat ragouts. It should be tried with a great dish of the “poor” in the culinary tradition of the Tyrol: barley soup. 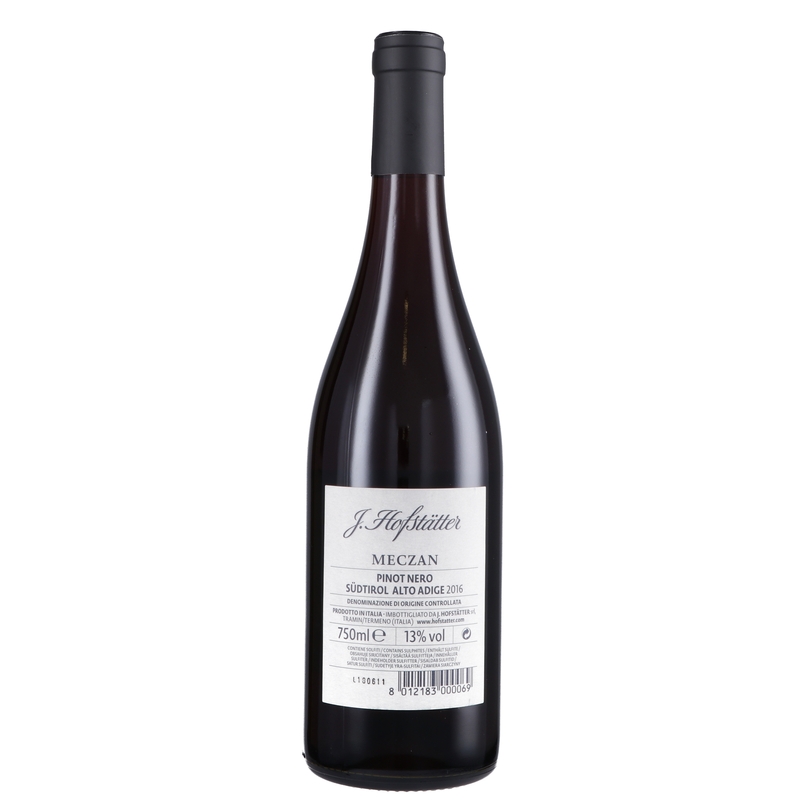 Coming from the vineyards of Mazzon, universally considered as home of the best Italian Pinot Nero wines, “Meczan” di Hofstätter is a typical wine of this kind, ideal for anyone looking mainly for suppleness, fragrance and a clear fruity character in this wine category. Vinified partially with the stalks and skins and left to mature only in steel vats, it is an outstanding wine for its finesses and representativeness of the land.